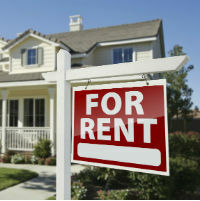 If you want your ad for your rental property to be seen, take these essentials into consideration. Taking the time to create an informative and attractive listing not only helps you catch the eye of potential renters, but it can also save you time in the long run. When rental shoppers know little about your home, you might end up having many conversations ending with, “Oh, that’s not quite what I was looking for.” Save yourself from the headache of too many dead-end calls or inquiries or even showings. Informed renters will be one step closer to making a decision before contacting you, reducing the number of inquiries where you discover that your property and the potential renters just are not the right fit for each other. A listing without any photos may not even receive a second glance; one with poor or too few photos might earn a click, a quick scan… and a click away. Strive for a minimum of 10 photos, and be sure to capture not only both the interior and exterior of the home, but the yard. If you have multiple units, show only pictures of the unit being advertised – even if they’re very similar. Quality photos of an uncluttered home aren’t simply good marketing — they are a subtle prescreening tool. Shabby photos are more likely to deter renters who take pride in their home, potentially leaving you with contacts who are less concerned about keeping up the property; nicer photos will appeal to tidier tenants. Also, taking updated photos is a must. If someone sees photos from when the home was 1 yr old, and it is now 7 years old, they are expecting the finishes like the photos, not the worn out carpet or scuffed up walls that may be more precise of the actual condition of the rental property. It doesn’t matter if the condition is pristine, but it will matter if it doesn’t hold up to what was shown online. In addition to photos, take your listing to the next level with a video. Walking through the property helps potential tenants see the layout of the property rather than just what each room looks like. This can make a huge difference as potential renters are trying to visualize themselves in the property. Beyond the basic information — bedrooms, bathrooms, square footage — include any details that will promote the property and give any potential tenants a good picture of the home and makes it memorable. Are there updated appliances or upgraded cabinets or countertops in the kitchen? Does it have new windows or carpet? Extra closet space? Energy-efficient features? A fenced yard? Highlight any desirable extras, like included utilities, parking spaces, security system subscription or yard maintenance, and point out unique amenities or features to generate interest and make your property stand out. In addition to the rent price, deposits, fees and lease term, be upfront about any policies that could be deal-breakers (or deal-makers) for prospective renters. Disclose your policies on pets, smoking, noise, parking and anything else that might affect a rental decision. For example, if your property includes a garage, but it is not visible in your photos, make sure the description states that there is a garage. If there is a big storage shed in the backyard, but it won’t be available for tenant use, make sure that is stated. If your photos show a refrigerator, but it belongs to the current tenant and won’t be there for a new renter, make sure your ad states no fridge is included. A less specific listing might generate more inquiries initially, but only causes you to get more calls with questions instead of actual interested renters. If your rental is in a multi-unit building or part of an HOA, list any community amenities available for tenant use, such as a pool, fitness facility, barbecue area, lawn or roof deck, or clubhouse. Also note if the building itself or a clubhouse has secured access, and/or if there is an onsite manager. Your expertise ideas on this blog must be appreciated, As a new property manager I have a lot of this to learn from you. Thank you Bill. I hope you have a positive experience in your property management venture. If you ever wish to use our professional services, or need more information about any property management questions, please feel free to contact our office. Amanda is our general manager and is a licensed property manager and is an expert in every aspect of the field. [email protected] or 210-787-3876.